It all started with 2 neighbors, Treva Scherrer and Mrs. J. Leonard Starkey, with a love of gardening & friendship. One afternoon over refreshments, they decided to start a garden club. 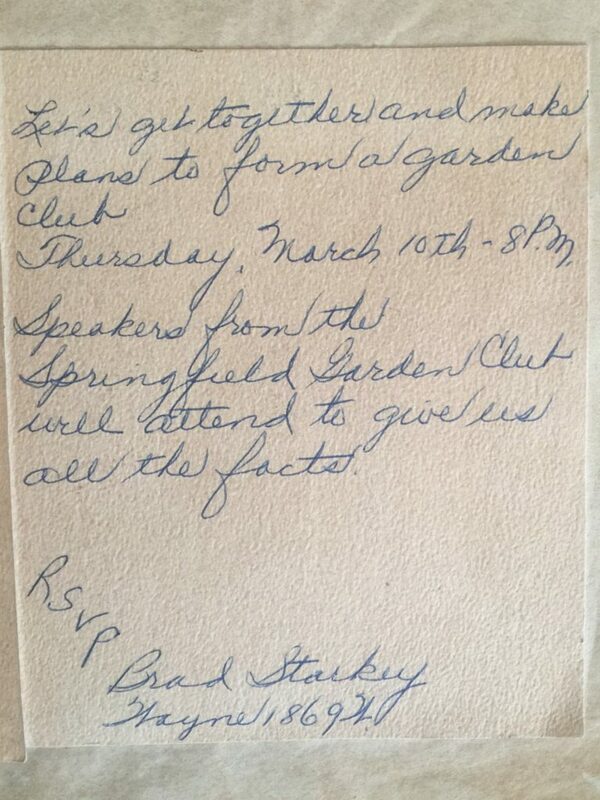 With Treva’s arranging and gardening abilities and Mrs. Starkey’s organizational talents, Wayne Woods Garden Club was originated in March 1955. Happy 64 Years Wayne Woods Garden Club!